Russia is a military superpower with global reach and an important country for Washington, President Barack Obama told a news conference in Germany, stressing it is in the US’ interest to partner with Moscow on pressing international issues. “Russia is an important country. It is a military superpower. It has influence in the region and it has influence around the world,” outgoing President Obama said at a joint press conference with German Chancellor Angela Merkel in Berlin on Thursday. Obama also expressed hope that President-elect Donald Trump will find areas “where we can cooperate with Russia, where our values and interests align,” while urging him to follow his outgoing administration’s line. 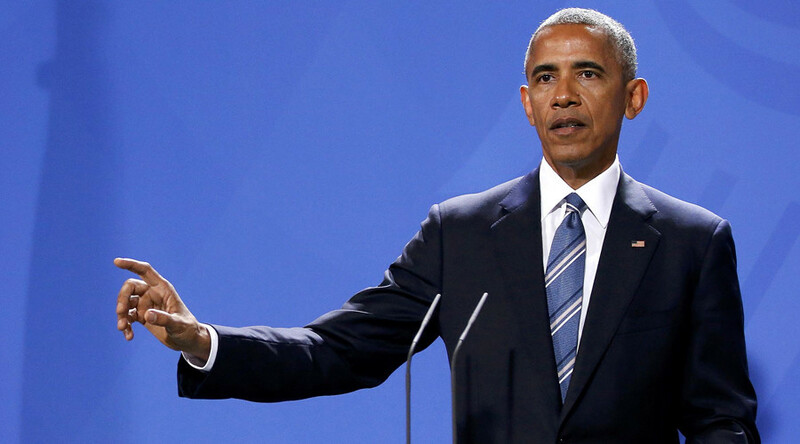 Obama adopted a reserved tone when referring to Russia in his Berlin remarks, despite previously consistently accusing Moscow of pursuing “assertive” policies on issues like Syria and Ukraine. However, he did repeat allegations that Russia was behind recent cyber-attacks on the Democratic National Committee.